Bred by Carlton Yerex circ. 1955 this was a cross of (Aurelian Hyubrid #47-2 x yellow trumpet). Introduced by Edgar Kline. ©2017-2019, Robert J. Gibson. 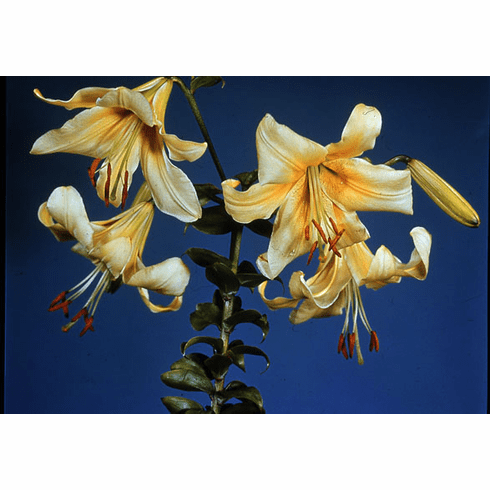 This page is for reference only, not an offer to sell bulbs of this lily cultivar. © 2019 - B&D Lilies®, All rights reserved.